Spiros Arion began his pro career in 1961 in Paris & wrestled around Europe for a few years before settling in Australia..
July 1965: Spiros Arion arrived on the Australian wrestling scene and quickly became a favorite among the Greek fans..
August 1965: Spiros Arion won his first of many IWA World titles & Austra-Asian titles in Australia..
Spiros Arion spent the first 14 years of Australia’s World Championship Wrestling holding the World title about 10 times..
1965: Karl Gotch won the title briefly from Spiros Arion, but lost it back shortly after..
Spiros Arion finished 1965 as World champion but no showed at the beginning of ’66 after jumping ship and taking the title! ~~~WCW officials ‘fabricated’ a result in Hawaii that had Killer Kowalski pinning Arion for the title..
Over in the rival promotion, Spiros Arion defended the belt against the 400 pound plus King Kong Czaja in Sydney..
~~~The ref was decked by Czaja & missed Arion’s pin on him, the largely Greek crowd rioted & started to storm the ring with chairs..
~~~The terrified referee quickly declared Arion the winner & then bolted, with several hundred chair wielding Greeks going wild..
Late 1966: Spiros Arion returned to WCW and was obviously forgiven as he was immediately given the IWA title again.. Early 1971: The IWA World title was abandoned after Jim Barnett joined the NWA agreeing to recognize the NWA’s World title.. 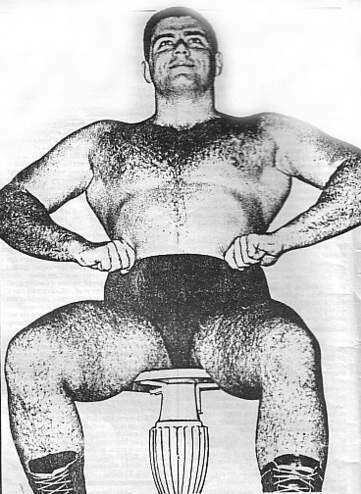 Early 1972: A new title called the Austra-Asian championship was created with Spiros Arion as the first champion..
1974: Spiros Arion left Jim Barnett’s WCW promotion while still holding the Austra-Asian Heavyweight title..
~~~Spiros Arion had been defending the Austra-Asian title against Bobby Shane at the time of his departure..
~~~WCW again made up a story about Arion being pinned overseas — this time by Waldo Von Erich..
1975: Spiros Arion headed to America to work for the WWWF as Bruno Sammartino’s “protege”..
~~~Spiros Arion was eventually turned heel by the influence of manager Fred Blassie to feud with Bruno Sammartino..